We've been running the CL site here at Bron Derw for 17 years and is now an important source of additional income for the farm. 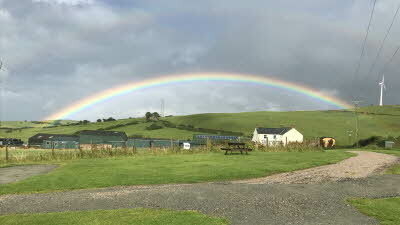 During those years many improvements have been made and by now there is a high quality shower block and all 5 pitches are of hard standing with multi serviced connections for electric, water, gray waste, digital TV aerial and Wi-Fi access. We accept dogs and provide dog exercise area. 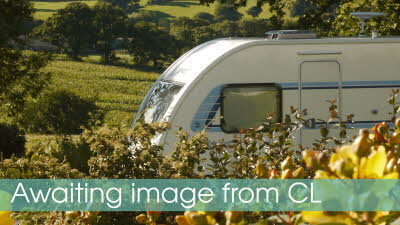 We also have a caravan storage compound and provide a towing facility onto the CL site when required. Most of our customers visit us for a quiet and relaxing holiday. Bron Derw is conveniently situated between the mountains of Snowdonia and the North Wales coast in a small market town of Llanrwst and just 4 miles from Betws-y-Coed. The site is within walking distance of the town with its variety of shops, cafes and restaurants, swimming pool and leisure centre and many historical buildings including St Crwst Church, Gwydir Castle, Llanrwst Bridge and the famous Tu Hwnt i'r Bont tearooms. This location is ideal for exploring the snowdonia mountain range or pleasent forest walks in the Gwydir Forest and the scenic upland lakes of Llyn Crafnant and Llyn Geirionydd. The 25 km "Marin Mountain Bike Trail" is located within Gwydir Forest, the trail is ideal for intermidiate to advaced mountain bikers. Within short travelling distance you can reach Betws-y-Coed (4 Miles), offering its idyllic scenery, with plenty of easy forest and river side walks. With mystical lakes set high in the forest above, such as Llyn Parc and Llyn Elsi, with its magnificent view of Moel Siabod. Plenty of shops and its own golf course make Betws-y-Coed ideal for short or long day out. Only 16 miles north up the Conwy Valley you will reach the Victorian town of Llandudno, Situated on the North Wales coast, with large sandy beaches. Here you will find plenty of shops, Theatre and the Great Orme to explore. 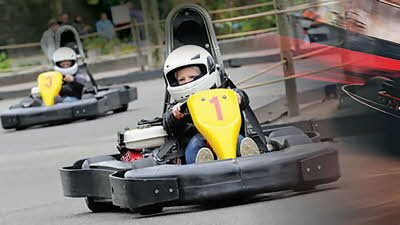 Other attractions are the famous Bodnant Gardens, Trefriw Wells Spa, Trefriw Woollen Mill and Conwy Castle. This is a fantastic site ,we have stayed here twice , Beryl and John are very hard working owners ,the site is spotless, the facilities are like the site spotlessly clean ,large pitches,thank you both for a fantastic time . 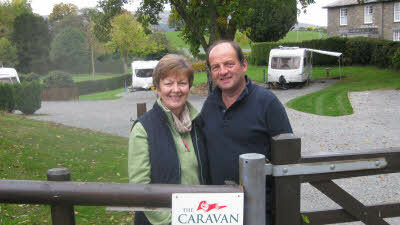 Probably the best, well organised and friendliest CL in the Caravan Club - open all year. 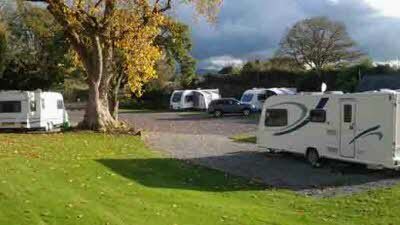 Very well set out fully serviced hard standing pitches and an immaculate toilet block on the Cl enclave. There are two commercial sites on the complex which are entirely separate from the CL. One is Adult only and the other for families. 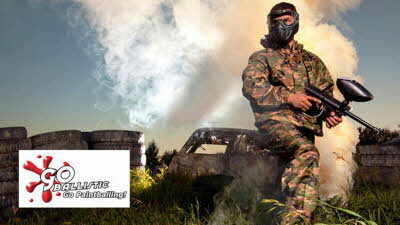 Neither intrude upon the privacy of the CL. and are open only for a shorter season. 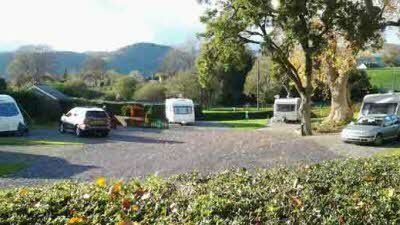 The location in the Conwy Valley is an added bonus. In a word an "Idylliic" CL. This site is the best we have ever stayed at ,its facilities are spotless the grounds are immaculate,beautiful stunning views ,THANK YOU for making our stay FANTASTIC John and Beryl. We approached the site from Conway and found the site easy to find. Access for our 4 berth unit was straightforward as the site has a wide, straight and what look to be a recently laid tarmac road right up to the house/reception. The entire site, not just the CL area, was beautifully maintained. The owners obviously take great pride in making everything just right, not a thing out of place. Touches such as small planted areas around the base of each ornate onsite road light had flowering spring bulbs, a credit to the gardener and is just one example of the attention to details that this site has. The site is nice and peaceful as it's surrounded by open fields which look to be part of the farm. We stayed on pitch no. 2 and luckily the planted bank behind the pitch shielded us from the worst of storm Doris. Even with a weekend of rain the site never had standing water anywhere. 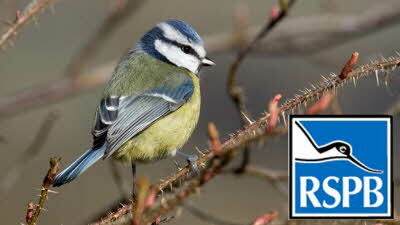 We managed to attract plenty of the local bird wild life to our feeder, despite the weather. Facilities were modern, warm and always clean and tidy. We never queued once for anything even though the five pitches were taken most of the three nights we stayed. 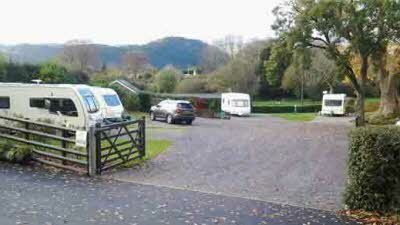 We managed a number of walks into Llanwrst and the well-lit site access road allows safe evening walking. We had lovely evening meals at the Eagle Hotel and Ty Asha Balti House and lunch at cafe Contessa. Shame the tea room over the bridge wasn’t open. The local Co-op and card shop came to our rescue, as there’s always something left at home. Walked to Fairy Falls at Trefriw via the foot bridge over the river Conway and had a welcome stop for hot chocolate just as the rugby kicked off on the TV at the Fairy Falls Hotel. Then a little retail therapy at the wool mill shop. We were one of the few out walking in the wind and rain that day but it was worth the effort. Had a relaxed and expensive walk around the shops in Betws-y-coed, Thank god for the 15% club discount at Cotswold outdoor shop First time for Angelsey eggs at the Bistro. Perfect stay and would highly recommend the CL site. We’ll be back. Stayed recently on the immaculate CL site. Mrs Edwards was excellent and even rang to tell us she would be out when we arrived, to pitch on the site and she would catch up with us during our stay, was very helpful in accommodating my need to do and early morning car departure for my daughters farm work experience elsewhere, even offered to show my daughter around the sheep and lambing pens during our stay (really dis-appointed not to take up the offer) nothing was to much, the site was immaculate and we will be returning (providing we can get a pitch.....) Thank you.